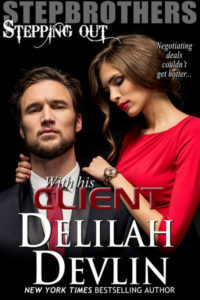 Hello romance readers! And thank you for hosting me today, Delilah. 🙂 I am here to spotlight some fabulous trivia about my Lost Colony Series. Fun fact one: This is a historical romance series based on a group of very real Lost Colonists from Roanoke Island. Fun fact two: Most of the names, places, and dates in my novels are based on the real deal. Fun fact three: But don’t worry. These novels don’t read at all like a history book. The Lost Colony Series is brimming with action, suspense, and unexpected romance in all the right places with plenty of steam – promise! Fun fact four: I am seeking some awesome, creative suggestions FROM YOU for the title of book three in the Lost Colony Series. Here are some quick and dirty facts to get your creative juices flowing. BLURB: An ancient conspiracy plagues a trans-Atlantic voyage from day one. ROSE PAYNE the ship clerk is simply trying to outrun a broken heart. 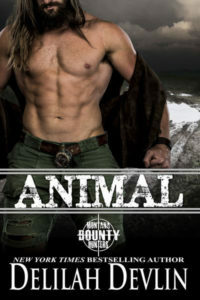 Instead, she runs straight into danger – pirates, plundering, and unexpected love with the most unlikely man. BLURB: Following a brutal ambush by hostile Natives, a sharp-tongued spinster JANE MANNERING plots the escape of her fellow English colonists by following a carved trail of crosses, never dreaming her actions will draw the attention of the most feared tribal leader in Virginia. BLURB: AGNES WOOD, a skilled apothecary, crosses the ocean to keep one big, dark, terrible secret. Alas, one dashing gentleman from her past discretely pursues her. Will he expose her past sins and destroy the life she has fought so hard to build in the New World, or will he risk his own future to protect hers? Happy historical romance reading and best wishes on winning! Intelligent and well ahead of her times, ROSE PAYNE’S world is shattered after a secret betrothal to the duke’s son costs her job as a clerk in his father’s household. Without a letter of recommendation, she becomes an easy target for recruiters to the Colonies. Desperate for work, she signs up for a risky overseas venture and sails for the New World, vowing never again fall for a wealthy gentleman. Returning from a diplomatic tour in London, CHIEF MANTEO is bewitched by the elusive, fiery-haired ship clerk and determined to overcome her distrust. He contrives a daring plan to win her heart – a plan he prays will protect her from a chilling conspiracy involving murder, blood money, and a betrayal of their fledgling colony so terrifying it can only be revealed in BREAKING TIES. 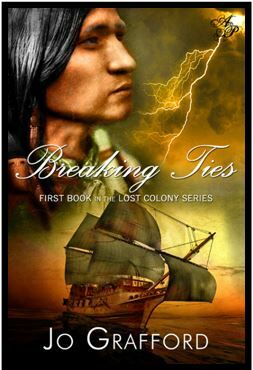 Special Note: BREAKING TIES is the never-before-told rest of the story of the Lost Colony. “You want my help.” ‘Twas an accusation. His eyes darkened. “I save your life. I give gifts. I offer marriage.” He closed the remaining distance between us, his eyes burning into mine. “Then what use are you to me?” He wheeled away. I sagged against the door, eyes stinging. I blinked rapidly and pressed a hand to my stomach. Nausea rolled at the thought of informing the others of my failure. Manteo circled the cabin like a hawk stalking its prey. ‘Twas a fine room with ornately carved shelves lining one wall. Bunks were built into the next wall. A generous desk jutted from the third, overflowing with maps and navigational devices. I recognized the compass and hourglass but could not identify the other instruments. I jerked in surprise when Manteo swooped down upon me.